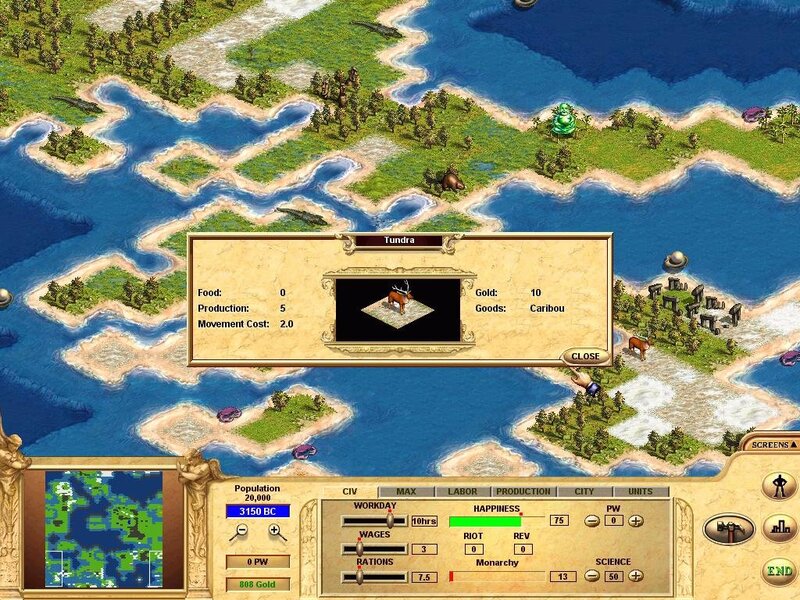 A better looking yet woefully dumbed-down Civ II. 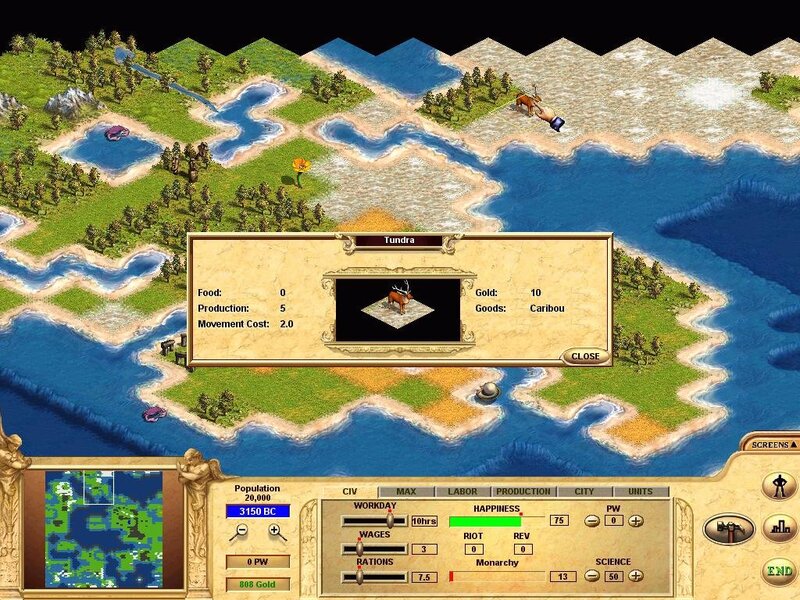 Activision and MicroProse were fighting tooth and nail for the Civilization license, and the result of that struggle was Activision’s victory and a new game in the series – Call to Power, a Civ game that was developed without the guiding hand of Sid Meier. Call to Power isn’t necessarily bad so much as it’s misguided, trying to do many things all at once. Some of them work, many don’t. It seems that for every idea that Activision successfully implements (unconventional warfare, a new trade model, public works), they also manage to botch two (interface, play balance, combat model). First the good. 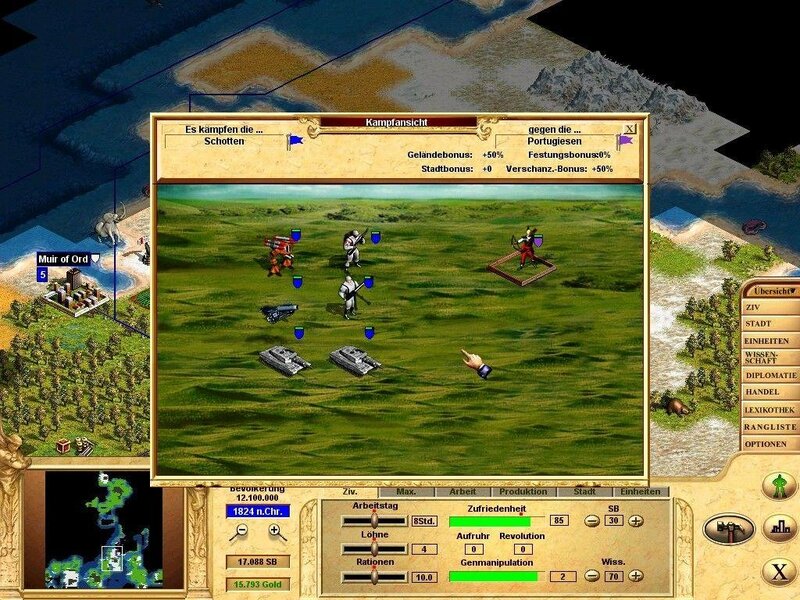 With bright clear graphics worthy of Heroes of Might and Magic III, the game looks fantastic. The maps are truly huge (talk about a long endgame). The later eras open up the seas and outer space for colonization and combat, where building and fighting are dramatically different. But Call to Power is, at its heart, Civilization II with some new ideas, not all of them sustainable within the game’s logic. 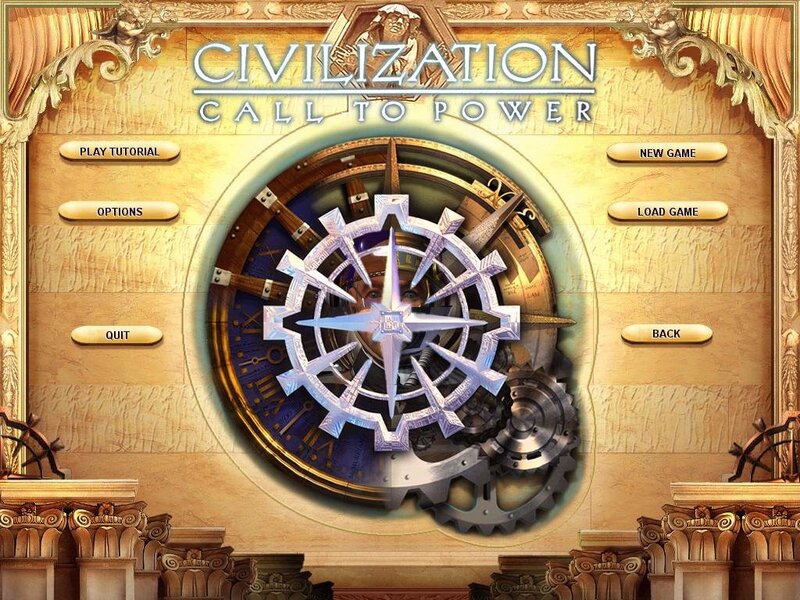 Although it doesn’t share any code with Brian Reynolds’ and Sid Meier’s landmark title, that game is clearly the kernel for Call to Power. 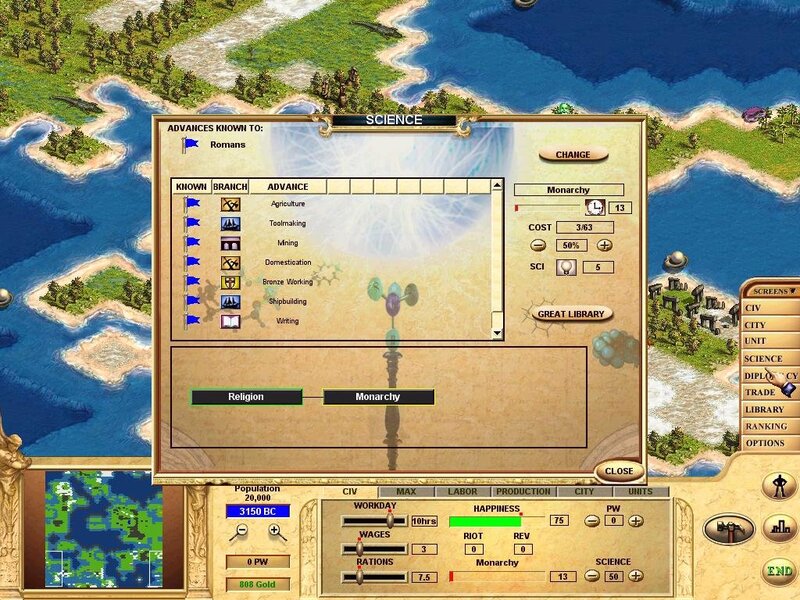 In Call to Power, all your food, production, and gold go into central coffers, where you set the rations, workday, and wages that determine your base happiness. 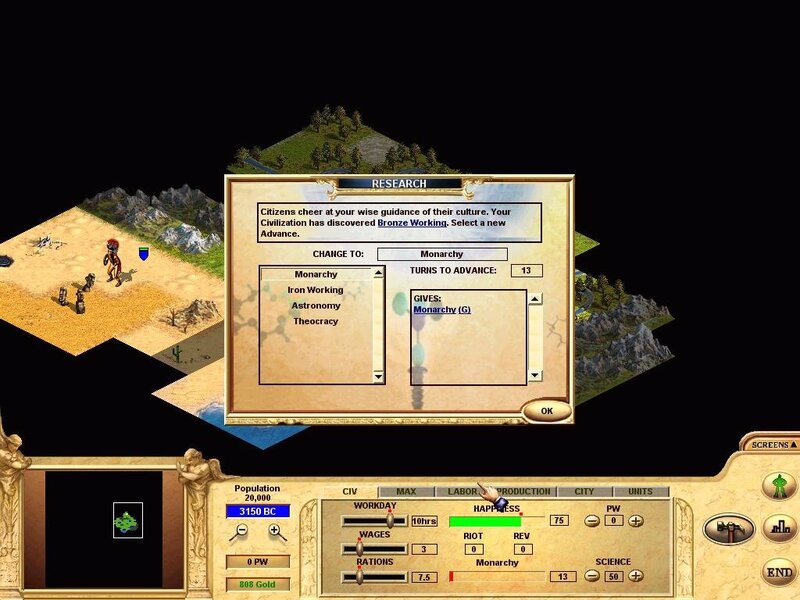 Similarly, your units consume production for maintenance, but you can alter this by changing your level of military readiness. If you don’t anticipate a war soon, you can order your military to stand down, decreasing your maintenance costs and dropping your units to half health. But where this federalism works best is in the game’s public works scheme. Rather than sending workers out, you divert a percentage of your production to public works. This stores up points that can be spent to improve tiles and terraform terrain. You can keep points on hand to help grow small cities with fisheries and farms. 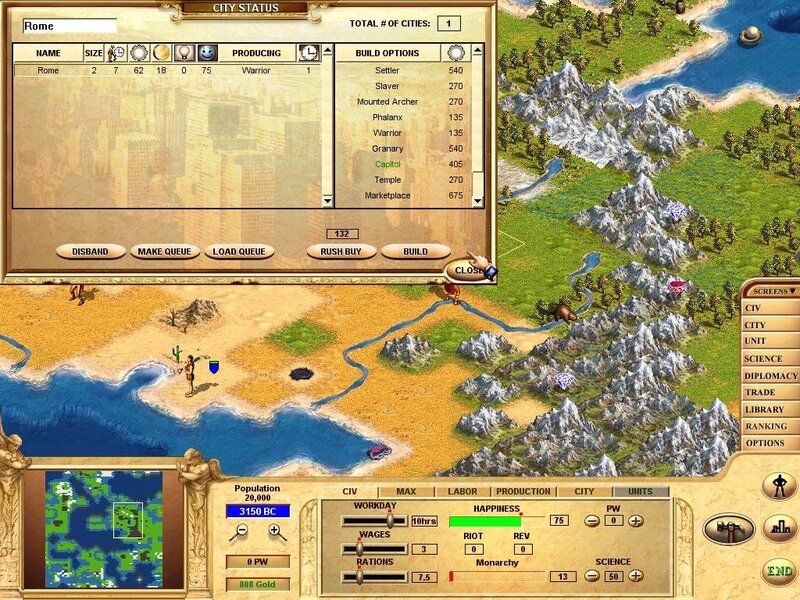 You can level entire forests or irrigate vast deserts in a few mouse clicks. Sea and space cities can thrive and quickly become productive with public works helping them along. And there’s no more trying to remember what you were going to do with that engineer after he spends four long turns cutting down a forest. But alas, play balance went on the wayside. It’s clear Activision is unpracticed at making strategy games. For instance, consider the new super-units introduced in Call to Power. These threats arise from within your civilization, and can cripple your infrastructure quite easily. The Televangelist, for instance, can siphon your gold. 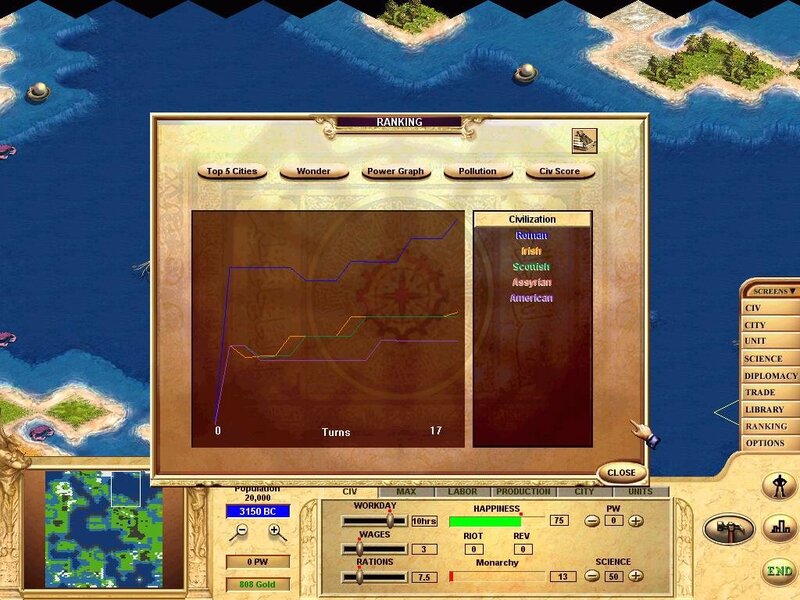 The Slaver can steal your citizens, while the Eco-terrorist can pretty much decimate an entire city. There are so many potential threats, and their effects are so destructive, that you’ll spend a lot of time preparing against any and every scenario. It’s here that the game’s complexity works against itself. The power and pervasiveness of this kind of civil warfare means you’ll almost always have to be ready to fight two different kinds of war. 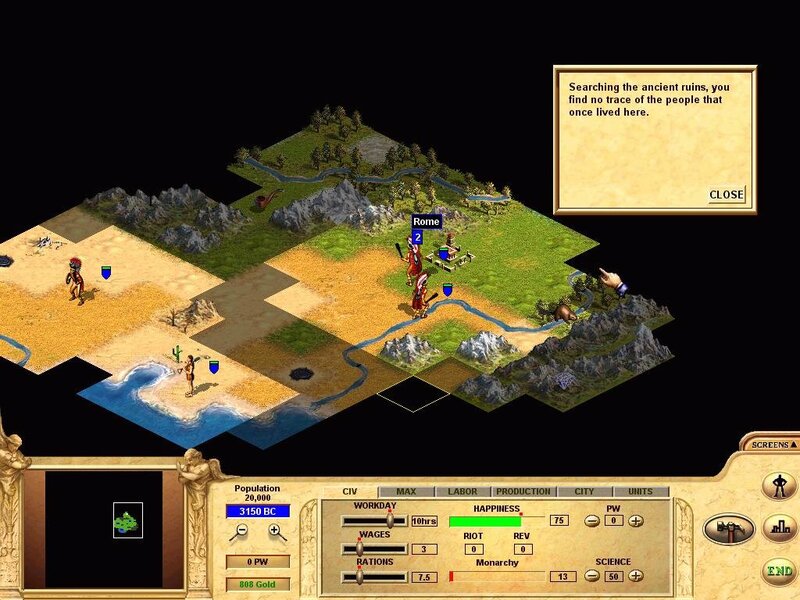 It channels the gameplay through waypoints that can’t be skipped. Slavers mean you must build walls. Corporate branches and televangelists mean you must research democracy and build lawyers. The discovery of genetics and infectors means you must race to research human cloning and build microdefenses. These chokepoints shoehorn the tech tree along preset paths, limiting the game greatly. There are hints of balance that come maddeningly close to making Call to Power as good at combat as Alpha Centauri. Defenses are particularly difficult to overcome, making entrenched growth a viable strategy (and also making unconventional warfare impossible to ignore). 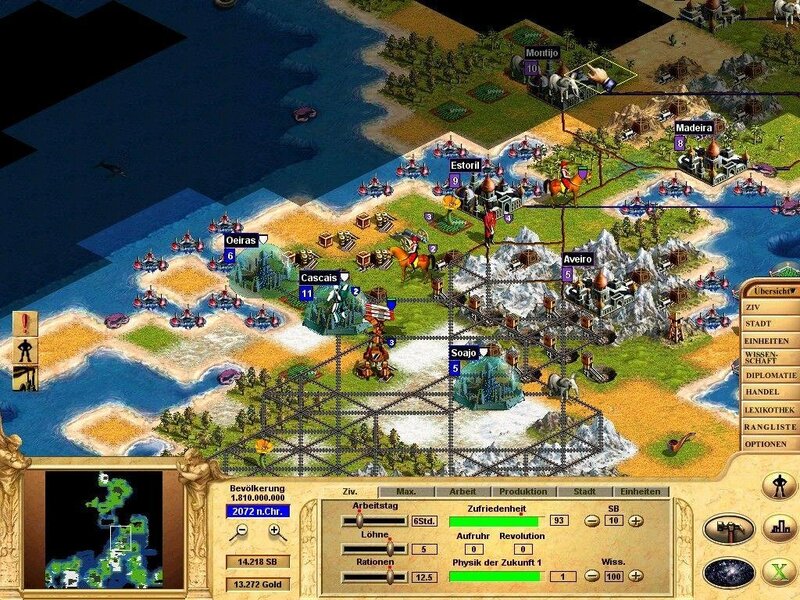 Units can gather in stacks of up to nine. This allows some interesting possibilities, such as balancing first strike ranged attackers with melee fighters or escorting your invaders with slavers to boost your workforce. But the stacking also highlights the gross imbalance in the combat system. Call to Power’s conventional warfare favors the number of units over the level of technology, rewarding quantity over quality. 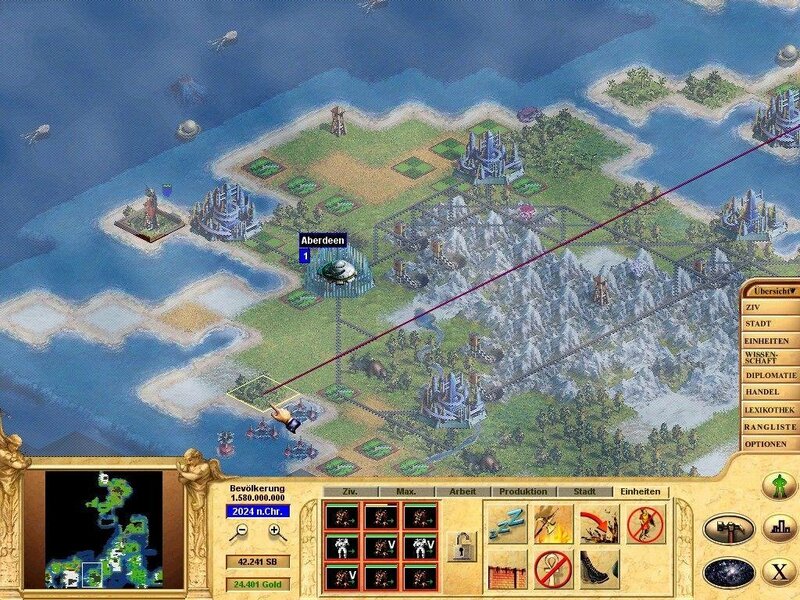 It downplays the importance of technology in warfare and t penalizes advanced civilizations. 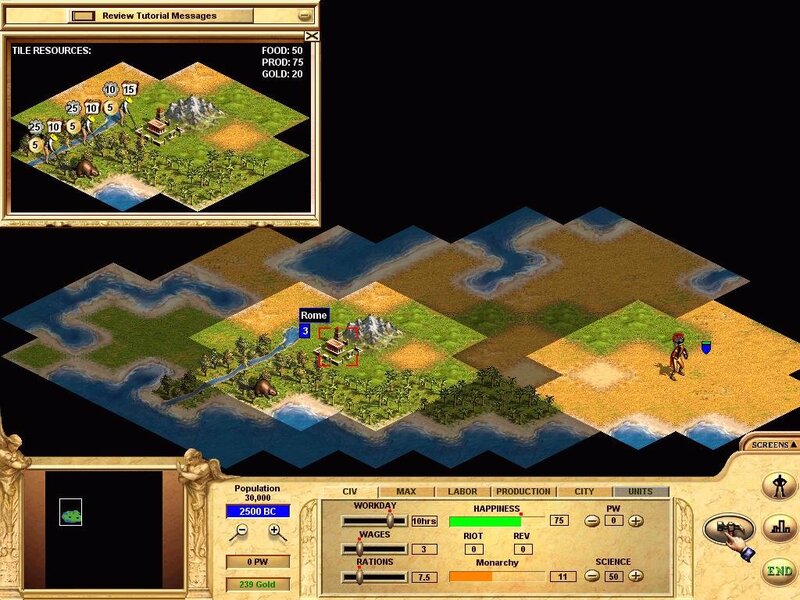 Their cheaper units are rendered obsolete, so they’re forced to build more expensive advanced units at a price out of proportion with their effectiveness. Also, it leads to some outrageous combat results that don’t jibe with what we expect from their real-world analogs. Civilization was notorious for occasional battleships sunk by phalanxes; these sorts of idiosyncrasies are rampant in Call to Power. 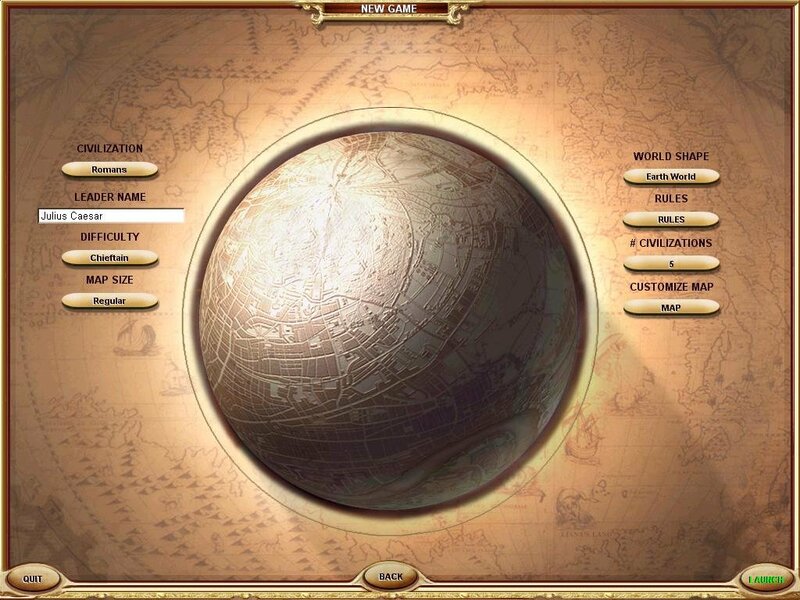 The interface presents its own problems to consider. The guiding principal in information presentation is to never take you away from the main map. To get all the details of a city, you have to click through a series of small tabs, meaning you never get a satisfying overview. Information is tucked in weird places. The autocycle and autoturn features are broken; there’s no autocenter feature to move your view with your unit selection. Different buttons and keys are required to close different types of windows. 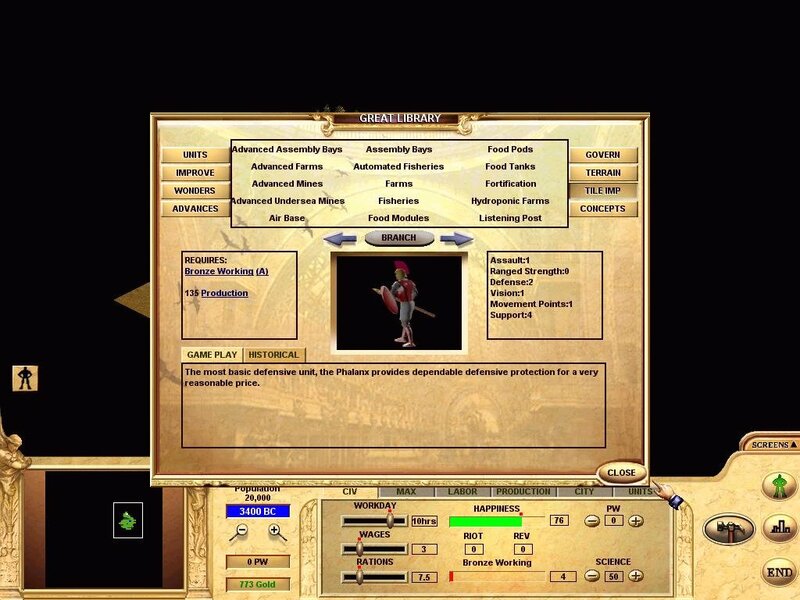 You can’t start a game during a later era in the single player games, there are no scenarios, and there’s no scenario or map editor. There are few gameplay options. And the manual is poorly writter (the Brady Games strategy guide reads more like a proper manual than the manual itself). The game also falls flat when it comes to diplomacy (Imperialism II and Alpha Centauri) and multiplayer options (no play-by-e-mail or hotseat). 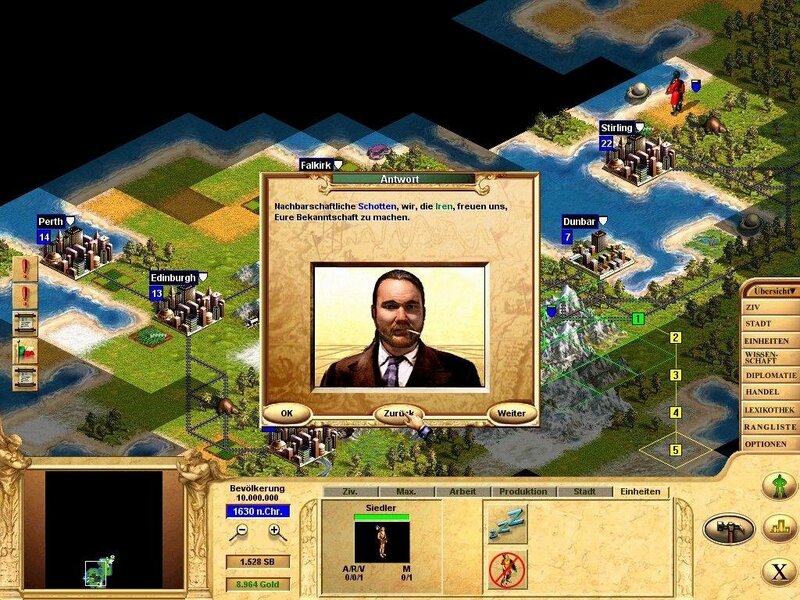 Civilization: Call to Power is an ambitious attempt to follow greatness of previous Civ games, but ended up being a shallow and unbalanced mess that only pales to the quality seen in earlier games. It’s a good indication of what happens when you switch developers, going from a team who has ample experience with creating strategy games to another that has next to none.